I had a very good night's sleep last night for the first time in a while. The guys in the dorm room I stayed in at the Seattle IH were all lumberjacks because they sawed wood all night long. My bunk was right by a window overlooking the back alley where trucks deliver goods to the Pike Place Market early in the morning. These trucks started rolling in around 4:00am and didn't have quiet engines at all. There are a great number of hitch hikers here in the Pacific Northwest and I picked one up this morning. He is a college student from Nova Scotia and had been rock climbing in the Whistler area all summer. I gave him a ride back to Vancouver where he'll take a train back home to start another school year. He was clean looking, had a Lowe backpack, and a tremendous amount of climbing gear and ropes so I figured it would be a safe bet. We shared good conversation about our summer adventures during the hour long ride. 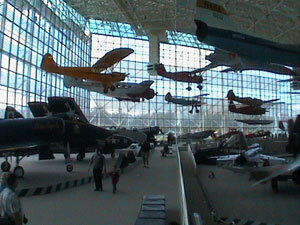 When I got back to Seattle I went to the aviation museum there. 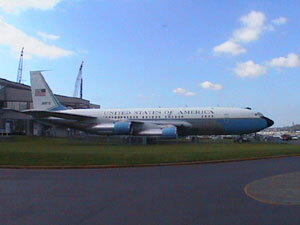 It is a very nice museum with a collection of some very famous and unique aircraft. 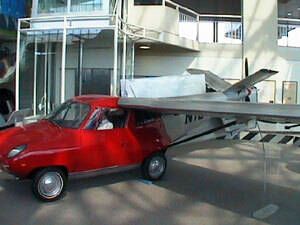 An SR-71 Blackbird, the Gossamer Albatross, a former Air Force One jet, and a flying car are on display along with fifty other aircraft. 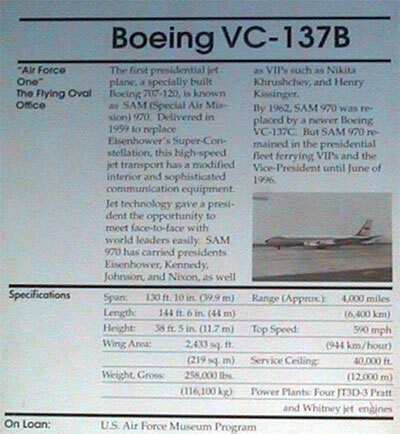 They also have a substantial display on the history and development of the Boeing Corporation, a local industrial mainstay. After visiting the museum I went to a local mall and walked around before going to the motel. Tomorrow I fly home!